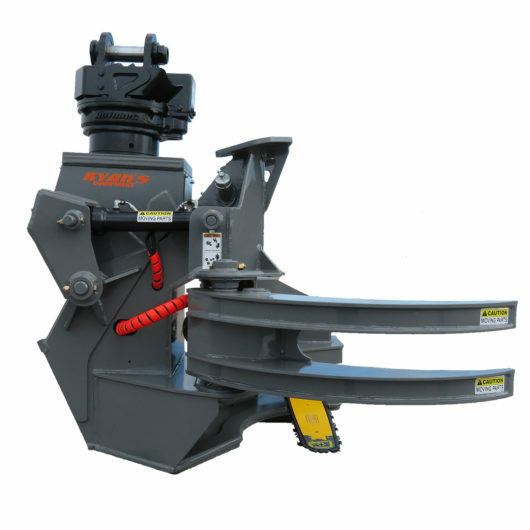 The DS series rugged chain & bar dangle saws are designed for excavators, track feller bunchers, and loader type carriers. 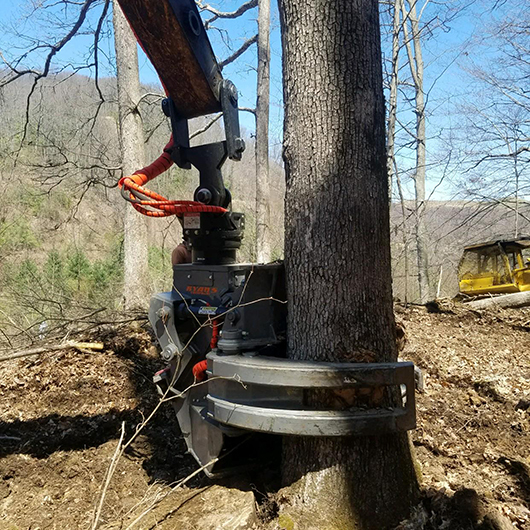 The grapple style arm design allows operator to handle standing or fallen timber to fell, pile, cross-cut, trim, top and shovel. 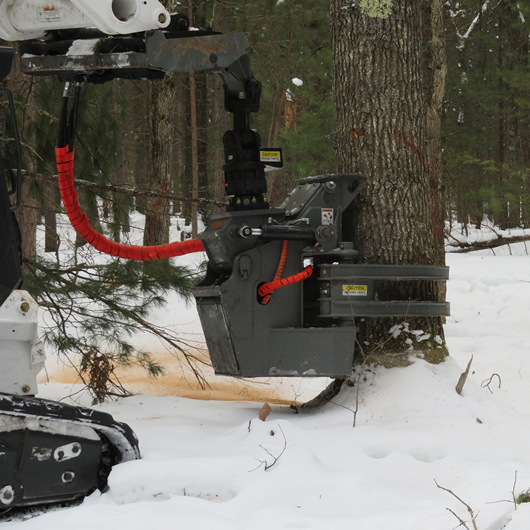 These heads are ideal for right-of-way clearing, selective cutting, salvaging storm timber and harvesting large trees. 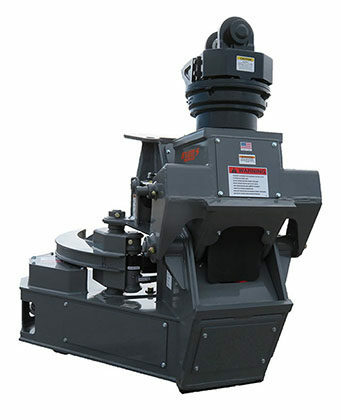 The dangle saw can be removed in a matter of minutes so that the carrier can be used for other purposes. 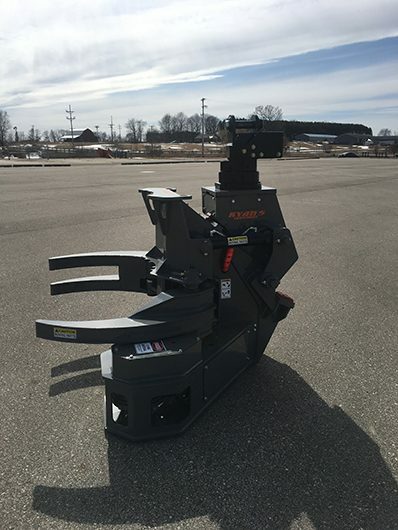 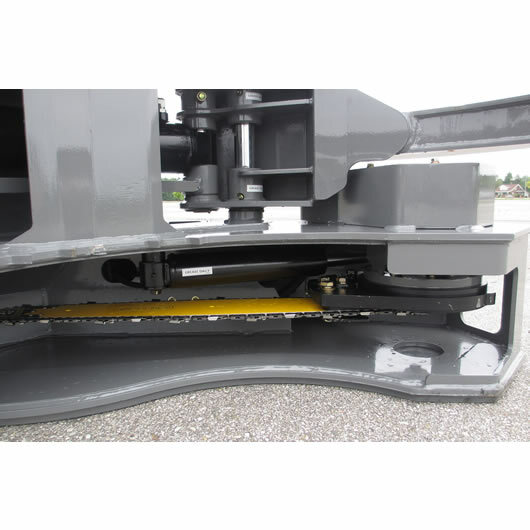 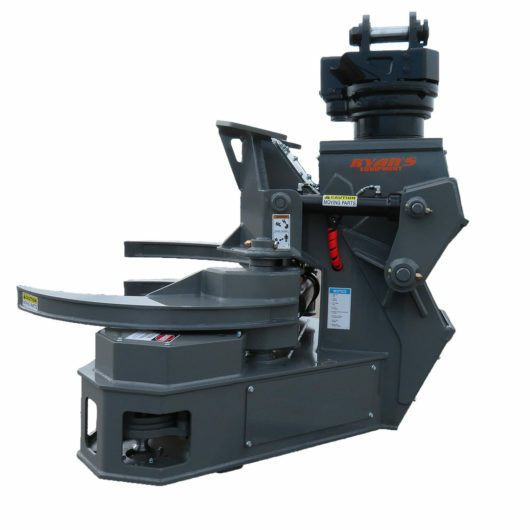 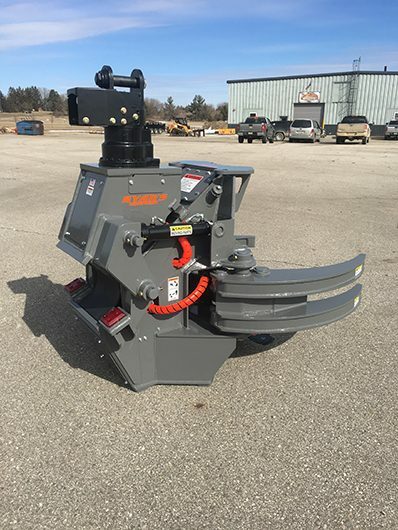 The DS-20, recommended for the larger high flow hydraulic skid steers and 10 – 15 ton excavators, has a 3/4 pitch saw chain running on a 28″ bar capable of cutting 20″ in a single pass or cut 28″ in multiple passes. 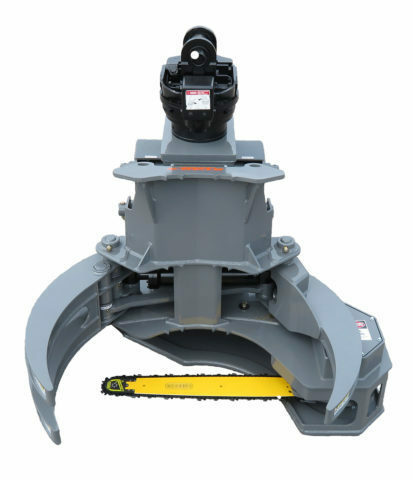 The DS-28C, recommended for the 16 – 20 ton excavators, has a 3/4 pitch saw chain running on a 37″ bar capable of cutting 28″ in a single pass or 36″ cut with multiple passes. 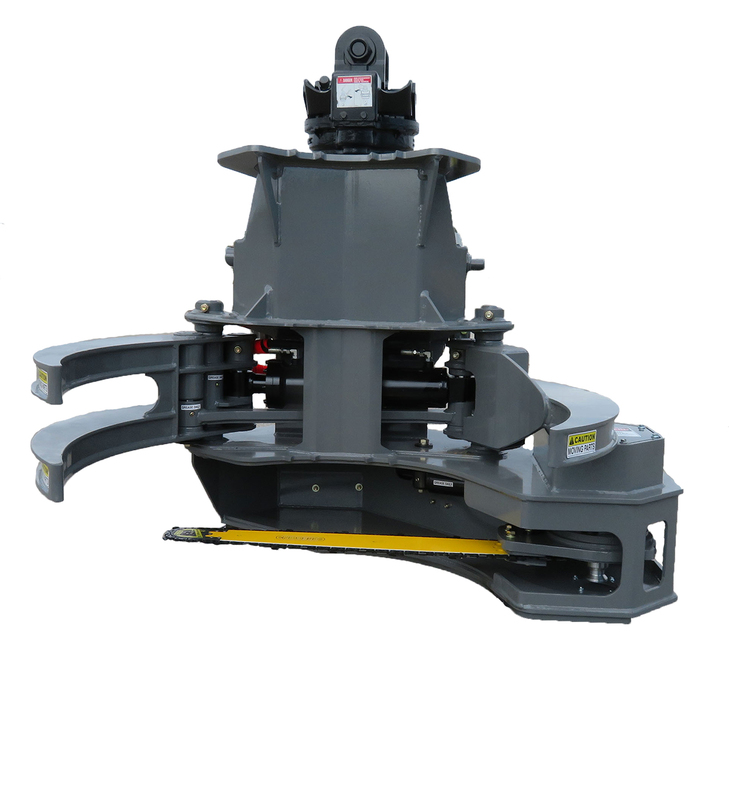 The 360° continuous rotation allow the operator to fell in any direction with relation to the base machine. 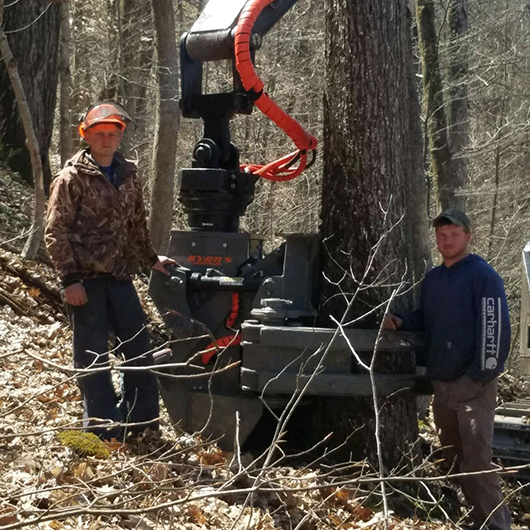 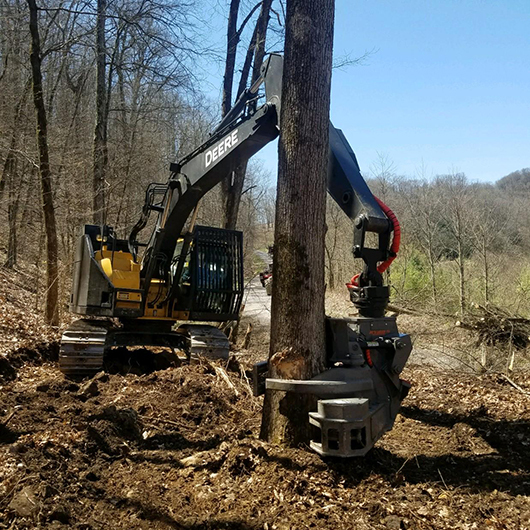 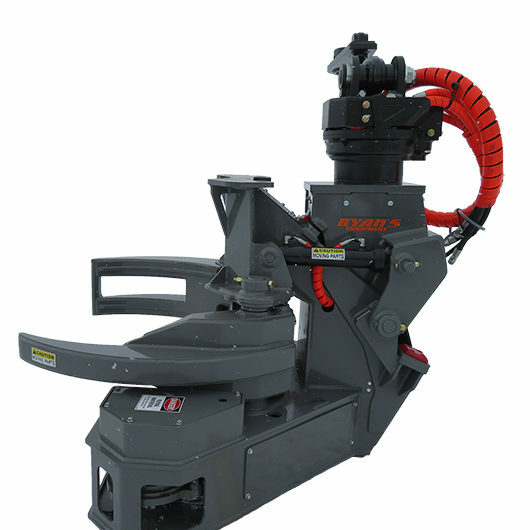 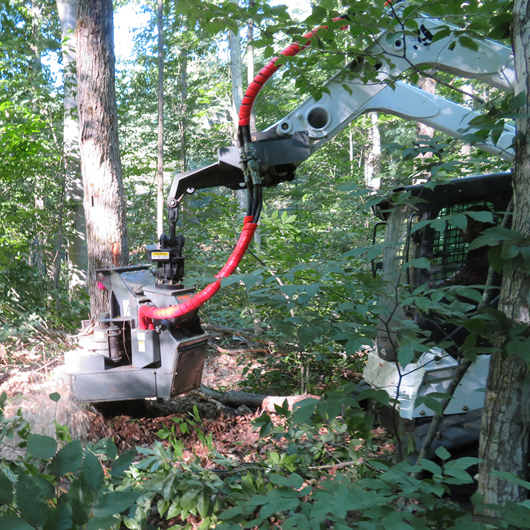 The new DS-3550 offers the same continuous rotation and capable of handling the larger difficult timber, recommended for the 18 – 30 ton excavators, has the same 3/4 pitch saw chain running on a 43″ bar capable of cutting 35″ in a single pass.